Ocean-crossing Porsche 914-4. From cherished American show car to unloved Brit salvage – a rollercoaster 914 life. Life Cycle The transatlantic life and times of a much-used Porsche 914-4. 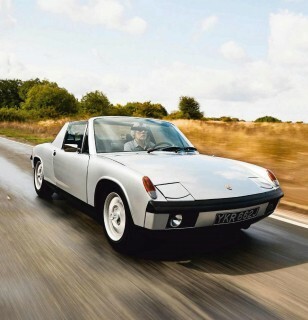 The life story of a Porsche 914-4… This special-order Porsche has changed continents almost as often as it has owners. We follow its trail from Virginia via Italy all the way to Northampton Words Russ Smith. Photography Xisco Fuster. On Thursday 12 October 1970, the Porsche 914-4 with the VIN number 471 290 6184 was the 13th car of the day to roll of the Karmann production line in Osnabrück, Lower Saxony. It was a special-order car with black paint, tinted windows and the rarely ordered limited-slip differential. From there it was shipped to the supplying dealer in Washington DC and collected early in 1971 by Porsche-loving couple Phoebe and Bob Harper from neighbouring Virginia. Phoebe explains, ‘All that was some time ago, but there are just some things you don’t forget. We had already owned a yellow 1970 914, which we sold, and got the new 914 by special order – we specifically wanted black because it shows so well in concours. The standard bumpers were chrome and we ordered those painted black as well. Also, we were active rallyists and autocrossers, hence wanting one with a limited-slip differential. The original VW-type steel wheels were replaced with alloys bought from an independent source at $50 each. ‘Bob and I were very enthusiastic Porsche nuts. We lived and breathed Porsche. When we first met he owned a ’1959 356A coupé and I had a 356C, which was our first concours winner. We even spent our honeymoon at the 1966 Porsche Parade annual gathering in Colorado Springs. 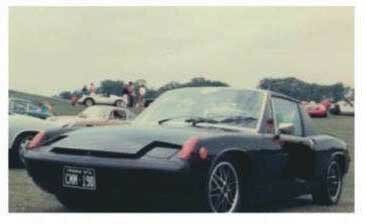 For some time Bob was also president of Porsche Club of America’s (PCA) Potomac region. ‘When the car arrived in Virginia there was a dent from a loading strap in one of the doors. Thankfully we had a wonderful small body shop we worked with and it was able to make it look like nothing ever happened. I remember that there wasn’t much of a tool kit with the car so I sewed one from black vinyl and we outfitted it with appropriate tools. Different times indeed. 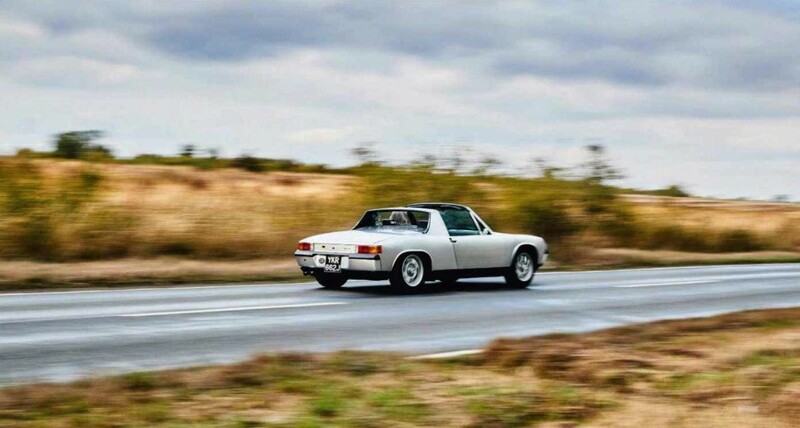 The 914 stayed with Phoebe Harper and was used to commute five days a week, when not being shown, right up until 1976, when it was reluctantly put up for sale to fund the purchase of the vineyard in Virginia that the couple ran until their retirement in 2010. Along the way they returned to Porsche ownership, with a 944 Turbo amongst others. The Porsche’s next owner was also a PCA Potomac region member, Trudy Brophy. ‘I bought the Porsche when I was a lieutenant (junior grade) in the Navy, stationed at the Bureau of Naval Personnel in Washington DC. The Porsche and I took advantage of the club’s road rallies and other activities. The Certificate of Title records that Butler paid $10 for the car, covering a technicality for it to be ‘sold’ not ‘given’. It also confirms that by that point the car had covered 112,421 miles. Butler kept the car for a matter of months, carrying out some basic repairs before unceremoniously lipping it for $5000 to a British car dealer who was in the area on a Jaguar E-type buying spree. Peter Rigby was actually looking for a 356 but took pity on the 914. ‘I spotted the car in a sorry state at Lenham Motor Company in Kent. The guys at Lenham gave the impression they really did not want the car – it had been hanging around for about a year. It was matt black, the interior had just about had it, the rear window had leaked and as a result the floorpan had rotted. Also, the driver’s door had a huge dent in it. ‘But I loved the shape, it had original Minilites, and I could see the potential. I struck a deal with Lenham and to my recollection handed over £800 for the car. ‘My young son Sam and I set about stripping the bodyshell back to bare metal, at the rate of one panel per fortnight. It had been badly repaired and repainted at some time and covered in some kind of spray filler. The dent was removed by a good friend who also repaired the floor, matching the pressings in it so well that I couldn’t tell where he’d done it. We couldn’t get hold of any sill covers so we made those too. ‘I made most of the interior myself and had to apologise to my mother for breaking her lovely original Singer sewing machine. 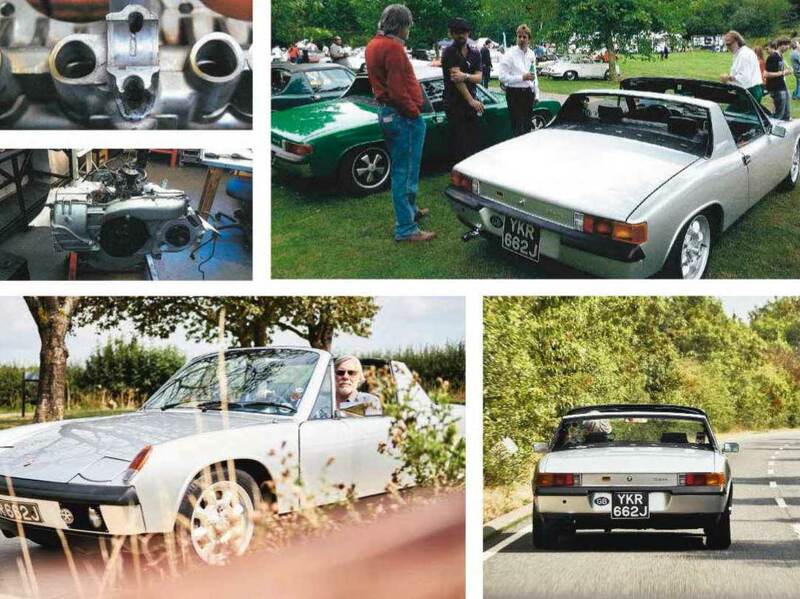 Hours were spent poring over colour charts before we settled on a period Porsche silver, paint code 936. I didn’t want to redo it the original black because I was worried that would show any imperfections in the body. ‘The engine was rebuilt and fitted with a new clutch by Care’s Garage. The guy rang me and said he hoped I didn’t mind but when he removed the tinware he thought it was a little tatty so he’d shot-blasted it and had it repainted. No extra charge! Peter Bartlett, who is believed to no longer be with us, had the 914 advertised for sale less than three months after getting it. Apparently his wife didn’t like it after all. 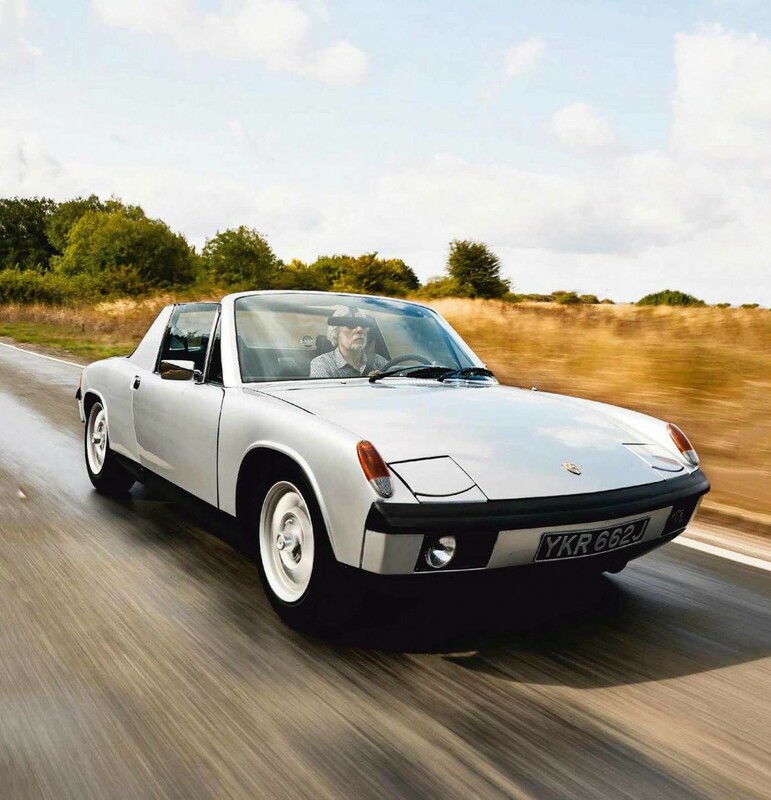 A long-time fan of the 914, Steve Screaton had been looking for one since the late Eighties, but there were few about and never the right one at the right price. ‘Then I saw this one advertised in our local Leicester daily newspaper for £2950,’ says Steve. ‘It was largely positive but did mention “cockpit needs tidying and first gear broken”. Over a period of three weeks the price came down and down until I could resist no longer and my wife and I went to have a look. ‘The car turned out to be better than expected – a gleaming silver machine – and during the test drive Peter Bartlett drove like a man possessed. Possibly because his main passion was for old British motorbikes it was logical he would lean the car round corners. Whatever, the result was that I was hooked and a deal was done for £2250. ‘He delivered it and problems with insurance meant my own first drive was a few weeks later, but will never be forgotten. Left-hand drive, no first gear and quite a lack of brakes. Then reversing into the garage I noticed smoke coming from under the dash and that the reversing and tail-lights didn’t work. I decided to spend the winter sorting the problems ready for a full year’s fun in 1995. As it turned out, it was finally MoT’d and ready for the road in October 1996. ‘Then I tackled the interior, which had no carpets, split and holey seats and door panels badly covered in a slimy-feeling vinyl that smelt like it had been stuck on with fish glue. We then managed to use the car for over four years without a first gear. Being such a rare item with its LSD, the delay was in finding someone I was confident to have do it. And the spare cash. Finally, in 2000, I took it to Gantspeed who completely rebuilt it and restored all five forward ratios to the penny of their £2253.63 quote. More than the car cost. ‘Also over time I’ve managed to track down and share correspondence with most of the previous owners, gradually piecing the car’s history together. 1971 – an instant trophy winner. After being delivered new to the States, the 914-4 bounced to Italy and back, then on to the UK. Bob Harper detailing the car in the early Seventies. Now painted silver, the car lives a new life in Europe. As spotted at Lenham Motor Co after it was imported to the UK in 1992. The previous owner’s spirited demonstration convinced the current keeper to buy it. The 914 enjoys a busy life. Peter and Sam Rigby stripped the bodyshell back to bare metal by hand. Of on one of many tours and rallies the car has completed. Crankcase failure struck in 2014. Engine built with mix of old and new. Jay Kay turned out to be a 914 fan. Steve has turned down numerous offers for the 914. Steve Screaton battled through a list of faults.